Welcome to the Muffin Dog Press web site. Whether you are looking for a humorous murder mystery; some help in learning to ride in the English style; travel in Ireland and much more, you might find it here! We now have a new line of children’s books, Allo Bijou!, written and illustrated by Nora Ned McBride. See below for more. Please browse our book and author selections. Check out our blog posts (links in the footer). Stop by regularly for fresh ideas in print and for your Kindle. 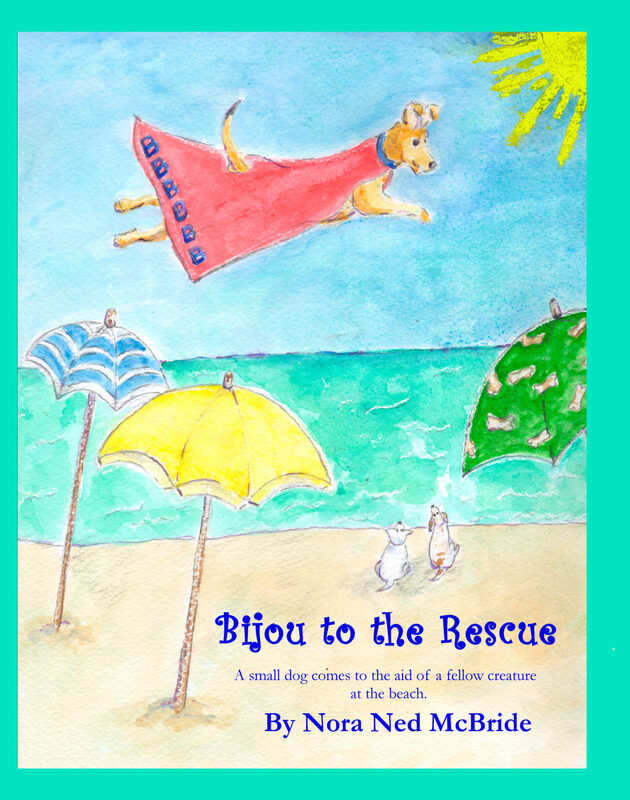 Muffin Dog Press, a division of MB&G Ltd.
Muffin Dog Press is pleased to announce the second in the series of children’s books Allo, Bijou!, the latest adventure for Bijou and her friend, Bijou to the Rescue, A small dog comes to the aid of a fellow creature at the beach, by author and illustrator Nora Ned McBride. You can order your copy here. !